They have planted 12 churches in Thailand, led 65 outreaches, directed 29 YWAM and SMMI training schools, and produced a number of evangelistic CDs and musicals. 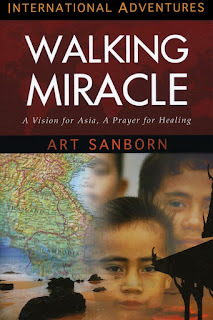 Art and Ellen’s family consists of: Sean and Anne Sanborn, missionaries to Thailand (their children Samantha & Timothy); Calah and husband Moon, both doctors in Germany (their children Jonah & Serah), and David Sanborn, a Christian actor, singer and writer. They have a passion for equipping, releasing long-term missionaries and Christian performing artists to impact the world for Christ!